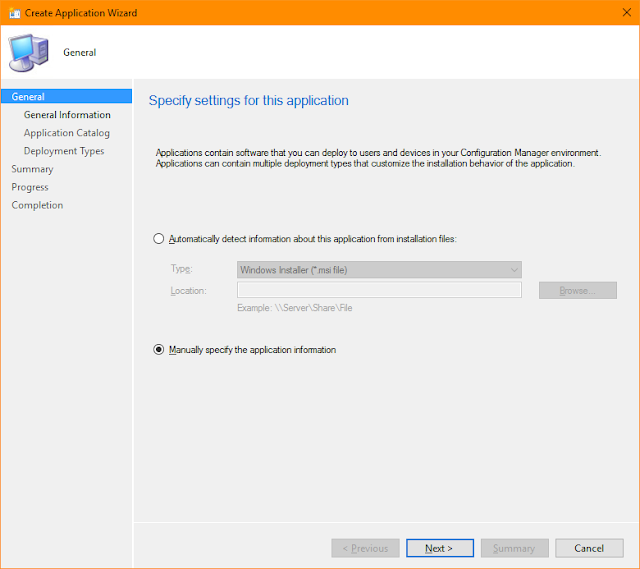 SCCM is able to do a lot but sometimes you need to sometimes you need to Install software uninstall the old version move some config files then remove a old shortcut and this all needs to be done as an application deployment. By default SCCM isn't able to handle all of that as an application deployment so you will need a scrip to do it. A while ago I was given a scrip that dose all of that and more the script was old and not all parts of it functioned so I doctored it up and made it a little more user friendly. The scrip is called Install-Wrapper.ps1 is very easy to use. and uncommnet the actions you want to run. 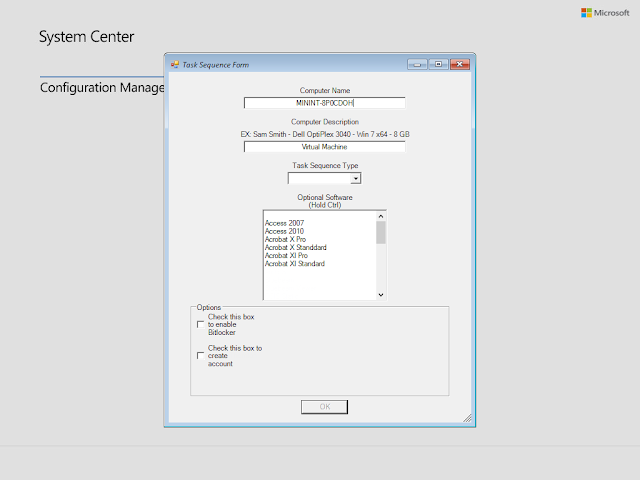 Then in SCCM create an Application for the script and for the install parameter enter. The msi file should also be in the same folder as the script. Build a custom Windows PE disk with a easy to use GUI interface. 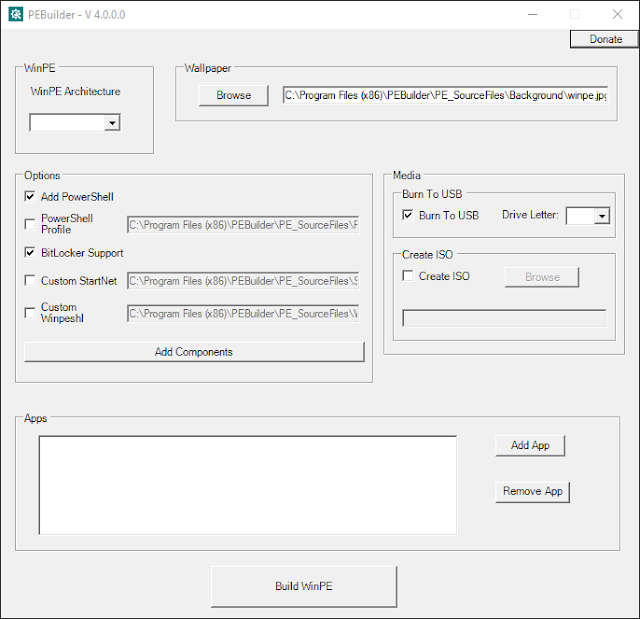 PEBuilder is an application that allows you to build a PE image the way you want it. You can enable PowerShell and other components with a simple click of a check box. You can also add your own compatible application right to the image. The tool is simply a GUI over top of my PEBuilder PowerShell script. That way if you still would prefer to use the PowerShell script you can do so. Below is a list of applications that will by default be added to the Windows PE image. You can remove these from the GUI or add your own. Just click add app and point to the containing folder.